Resources on Militarism and Environmental Harm. 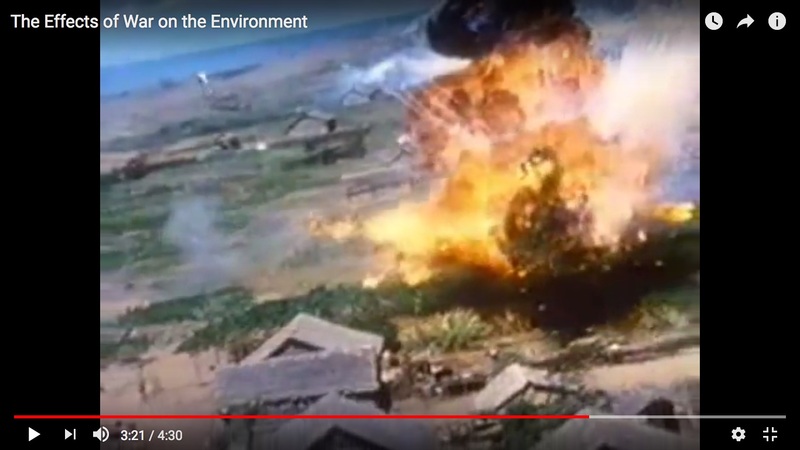 In 2010, a college student called Alex R made and shared a terrific little video titled “The Effects of War on the Environment”, which in just 4.5 minutes explains just about all you need to know about why it is the US military is such a big polluter, in both “peace-time” and war. Highly recommended! Swanson published that article in connection with the terrific conference that World Beyond War held on “War and the Environment”. Here is the portal to the records page from that conference. And here is a portal page/playlist for the no fewer than 45 videos produced from that conference! 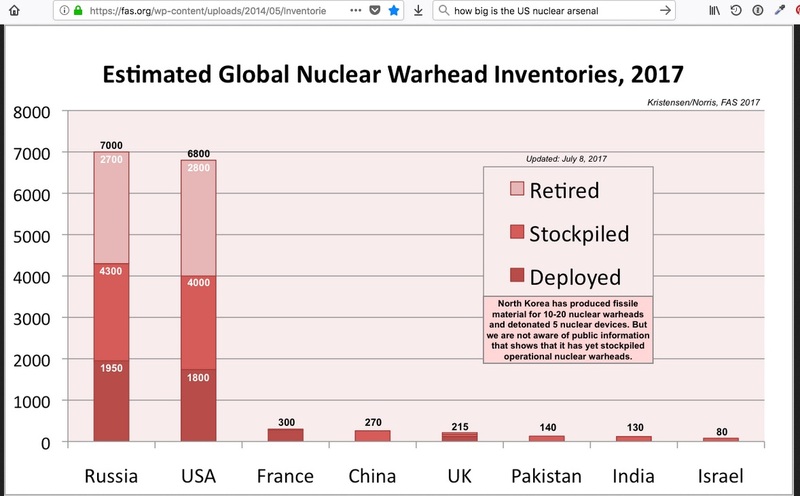 Some more detail on how the military generates these emissions can be found in these two articles from Patricia Hynes ( 2011 article and 2017 article), or this 2015 article by Lisa Savage. This page on the website Civilian Exposure has links to fairly up-to-date information about the contamination situation at Camp Lejeune in NC and to the EPA’s information about the status of the military’s 140 other “Superfund” (super-contaminated) sites around the country. 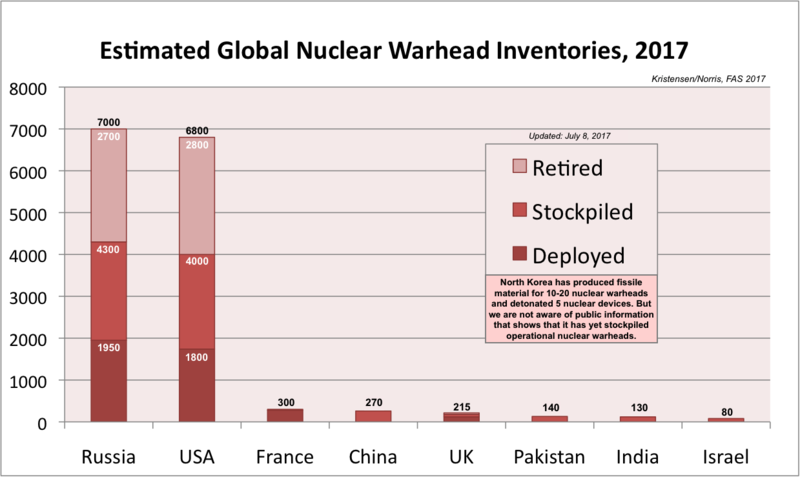 The Nobel Peace Prize-winning International Campaign to Abolish Nuclear Weapons has some useful information at this page on their website about the effects of nuclear weapons on health and the environment. Joshua Frank had this general, 2010 round-up on the effects of the US-led war in Afghanistan on that country’s environment. Afghani engineer Sayed Hashmat published this 2015 survey of the main environmental challenges his country faced 14 years after the US-led invasion of his country. Lebanese blogger “Lebanize” published some in-real-time reporting of the environmental harm from Israel’s bombing of many Lebanese infrastructure facilities in July-August 2006, e.g., here. A Reuters report from January 2007 catalogued some of the environmental damage inflicted by Israel in that war. 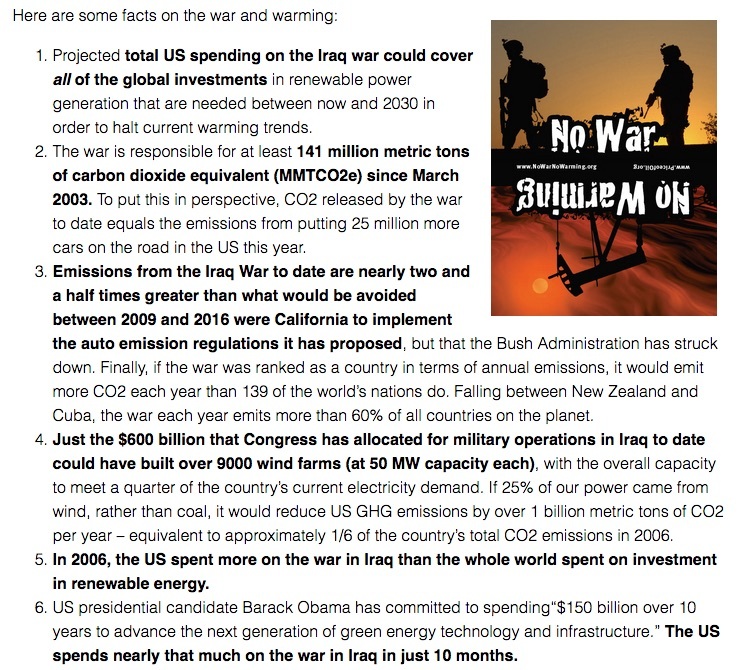 In 2008, Oil Change International published a well-researched report, “A Climate of War”, on the environmental costs (including opportunity costs) of the US invasion of Iraq. Some of its main findings are shown on the right. 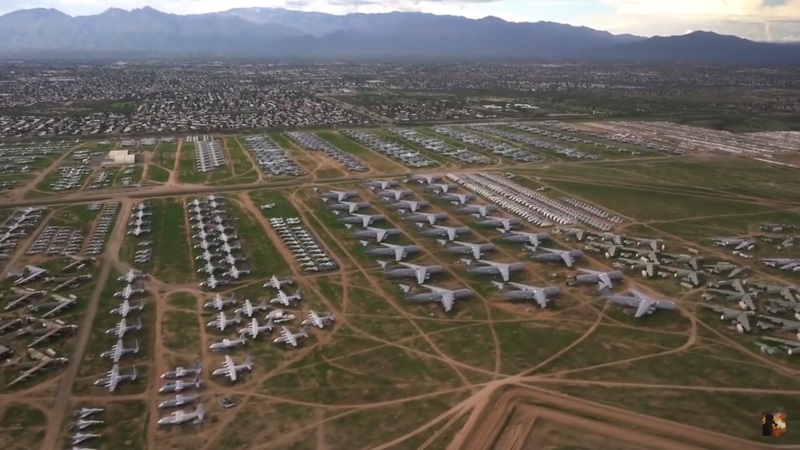 “Aerial View of the Aircraft Boneyard at Davis Monthan AFB” (6m38s) At the end of that video, there are some shots that clearly show how close this massive aircraft junkyard is to some regular suburban-Tucson housing. We are planning to make the design of this resource page a lot stronger and more intuitive– and we can certainly incorporate more resources at that point. So please send along your suggestions! Also, please be aware that all this work to curate and share useful resources on our website takes time and money. Developing this web portal is part of the “WarHurtsEarth” campaign that Just World Ed is running in Spring 2018. If you’d like to make either a recurring or a one-off-contribution to our work, you can learn how to do so here.